Encryptomatic LLC's MessageExport(TM) add-in for Microsoft Outlook lets you transform your email content in lots of useful ways. Normally, people simply select the emails they want to export and then click the "Export" button. But what if your needs are little more complex than that? What if you want to always export new emails to PDF files, and you want it to be done automatically, rather than manually? This article shows how use MessageExport to convert inbound email messages into PDF files, automatically. You can create new and unique export profiles in MessageExport. 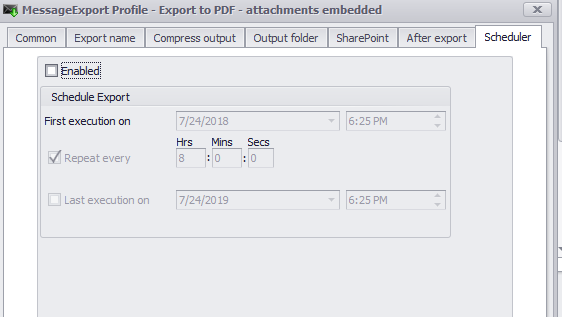 However, for simplicity, we are going to alter the existing"Export to PDF" profile so that when a new email message is received, MessageExport will automatically convert it to a PDF file. 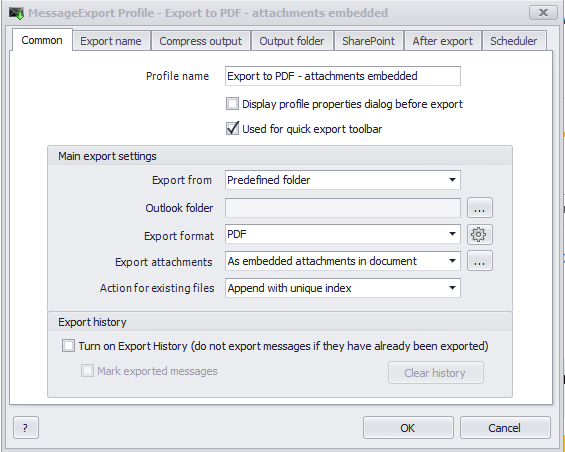 From the MessageExport toolbar in Outlook, select the "Export to PDF" profile. Select Tools icon to edit an Export Profile. This will bring open the settings for the "Export to PDF" profile. On the "Common" tab, change the "Export from" drop down list to "Pre-defined folder," and then set the "Outlook folder" to your Inbox. Its also a good idea to check the box for "Turn on Export History" to avoid duplicating emails during the export process. Now jump to the tab labeled "Scheduler." The Scheduler tells MessageExport to run this export profile on a time table that you select. Lets say we want to run this export profile once every hour. Here's how we do that. First, click "Enable" to activate the scheduler. Next, click "Repeat every..." and enter "1" into the Hrs column. Save it, and you're ready to go. MessageExport will now check your Outlook inbox every hour. If it finds any new emails there, it will automatically convert them to a PDF file. To stop the automatic email conversion process, just uncheck "Enabled." There are countless other ways you can configure MessageExport using the scheduler. 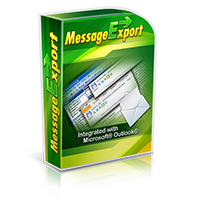 Download a free trial of MessageExport on the product home page.